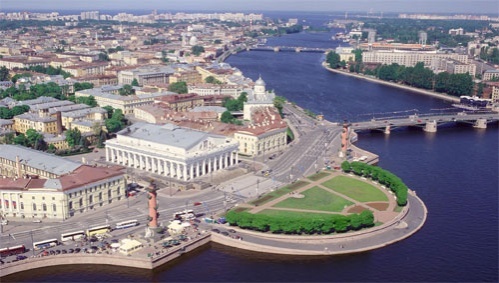 St. Petersburg, often called “the Northern capital of Russia”, has always attracted tourists from all over the world. Generally foreigners like it more than Moscow, at least judging by the majority of comments I get from my foreign friends. Since it can be accessed from the sea, a lot of cruise companies plan their itineraries around this city, therefore especially in the summer it is flooded with international guests. St. Petersburg is a popular escape for Moscow residents as well. Depending how much money you are willing to spend you can get there by overnight train, zoom there in 4 hours by express train, or in approximately 1 hour and 20 minutes if you’d rather fly. There are plenty of flights between Moscow and St. Petersburg, from both Sheremetyevo and Domodedovo airports, that leave almost every hour so you can be there in no time, but the journey to and from the airports may add an hour or two to the flight time; cancelling out the whole point of flying. With a bottle of beer or some other suitable beverage, a book or video viewer, the journey from city centre to centre passes quickly, at least on the express. 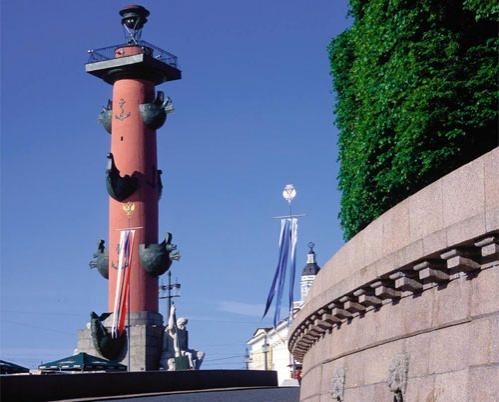 Summer is not only “white nights” season, it is also the time to get in one of the countless river boats and see St. Petersburg from the water, from one of the 90 or so different canals and small rivers. No wonder this place is called the Venice of the North. The bridges open up at night, perhaps to protect the city from the darkness that surrounds it, and each bridge has its own timetable, so you need to make sure you get to the right side of the river, meaning to where you are staying, in time. If you are a bridge-watcher, I recommend Palace Bridge. Over the years it has become a symbol of the city. Its total length is 260.1 meters, width 27.8 meters. It has five spans, the southernmost joining Palace Embankment between Winter Palace and Admiralty and leading to Palace Square. Dress warmly, the wind can be brutal in the evening, even if it’s been a hot summer day. 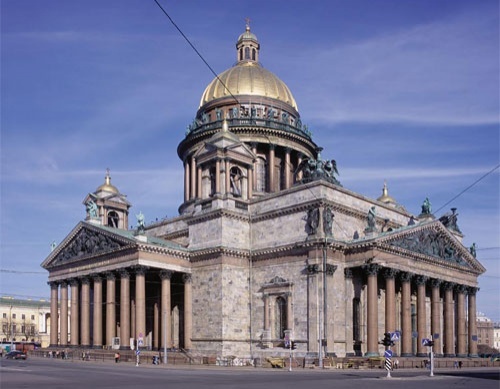 St. Petersburg houses some fine examples of cathedrals and churches: St Isaac’s Cathedral, the Kazan Cathedral, Smolny Cathedral, etc. My two favourites are the Church of the Saviour on Blood situated just couple of blocks away from the Nevsky Prospect, the main shopping street and north-south artery of the city. It is inside this church that I heard this funny phrase of one of the tourists on a guided tour who looked up to enjoy the beautifully painted ceiling: “Who is that fellow up there?” So I thought I would clarify that the Church is full of different mosaics, the main pictures being biblical scenes or figures. The particular scene that spurred this question is called “Christ Pantocrat,” created by the famous Russian painter N. Khalramov. This Church was built on the site where Tsar Alexander II was assassinated and was dedicated to his memory. It intentionally resembles a 17th century Yaroslavl church and the celebrated St. Basil’s Cathedral in Moscow. The Peter and Paul Fortress is another place not to be missed while in St. Petersburg. The fortress was founded on a small island in the Neva delta on May 27, 1703, the day that became the birthday of the city of St Petersburg. Right in the middle of the fortress stands the impressive Peter and Paul Cathedral, the burial place of all the Russian Emperors and Empresses from Peter the Great to Alexander III. The cathedral was the first church in the city to be built of stone. On top of the cathedral’s gilded spire stands a magnificent golden angel holding a cross. It is 123 metres tall and the highest building in the city. You can watch a breath-taking ballet at the Mariinsky Theatre. The repertoire is available at www.mariinsky.ru/en. The only upsetting thing about this theatre is that it has different prices for foreign and Russian citizens. It is quite a shame and hopefully this will change sooner or later. Right next to the Mariinsky is a brilliant steak-house restaurant, called Stroganoff Steakhouse, situated at 4 Konnogvardeysky Boulevard www.stroganoffsteakhouse.ru. The menu includes a variety of different steaks as well as salads, desserts, drinks, etc. The interior is very stylish; the staff is friendly and, most importantly, the food is delicious. Definitely a good place to discuss the recently-watched Romeo and Juliet or Swan Lake. A little further away, yet still within walking distance, (you do have to have a map, however) there is an extraordinary restaurant called Teplo, which means Warmth in Russia. When you call to reserve a table there they greet you sayinig, “Hello, you have reached Teplo”, which can be translated into English as “Hello, you are in the warmth now.” This is exactly how you feel when you walk into this restaurant. The interior resembles a lovely living-room with sofas, arm-chairs, little pieces of home décor. Every detail of the restaurant is meant to reinforce this cosy atmosphere and make you want to stay for a long time. The staff are friendly. See the menu in English www. v-teple.ru/cafe/menuenglish/ and also the interior: www.v-teple. ru/photogallery/interior/ The last time I was in St. Petersburg, I went here for both lunch and dinner. After maybe my third visit, one of the staff asked me if I lived nearby. I had to confess that I actually flew all the way from Moscow to enjoy one of the best restaurants I have ever been to, and to do some sightseeing of course. There are plenty of museums in St. Petersburg. Among the most popular are the Hermitage and the Russian Museum. No need to say much about either, as plenty of guide-books and internet sites are devoted to them. My only advice would be to choose specific exhibitions that you would like to see. It’s not enough to just “wander around” these museums as they are huge and without a structured approach you will end up being totally exhausted at the end of the day without remembering much of what you’ve actually seen. The museum that caught my attention on my last visit was the Universe of Water, www.vodokanal-museum.ru/ eng/ It operates as a part of the “Information and Training Centre” of “Vodokanal, Saint Petersburg”. It is situated on 56 Shpalernaya street, opposite the Tavrichesky Palace. Today the museum complex comprises three exhibitions: “The Water World of Saint-Petersburg”; “The Underground of Petersburg” and “The Universe of Water”. Everything is dedicated to water. Multimedia technologies and effects are combined with those exhibits that can be touched. The space surrounding visitors is as changeable as the water itself: sounds, pictures, light are changing. This is a great experience that is not to be missed! So whether you are an avid theatre-goer or just like to wander along the beautiful waterfront, St. Petersburg is well worth a visit.